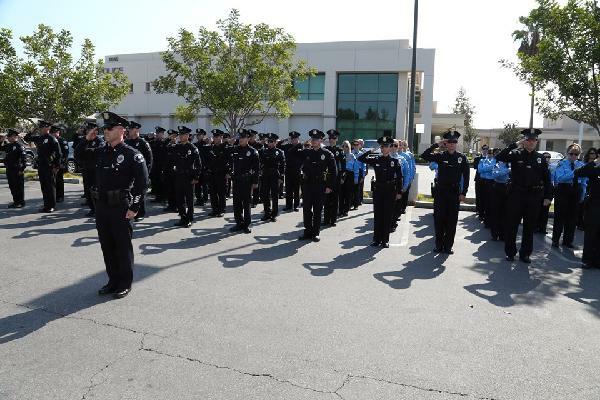 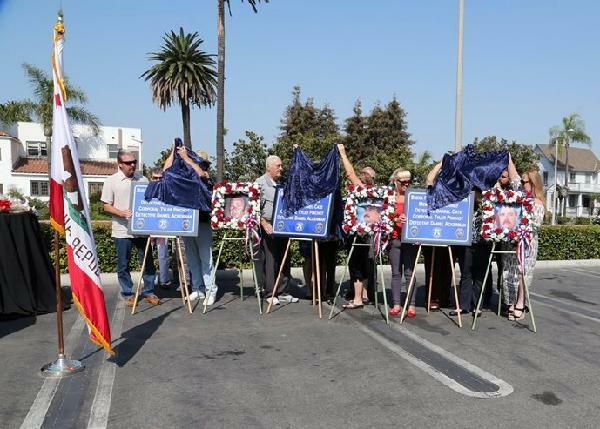 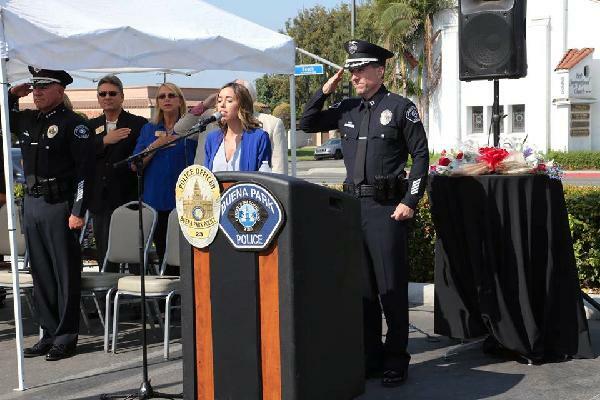 On Tuesday, August 23, 2016, the Buena Park Police Department, with the help of the Buena Park City Council and the Buena Park Police Association, proudly dedicated a portion of Beach Boulevard between Crescent Avenue and 9th Street as a "Fallen Officer Memorial Highway." 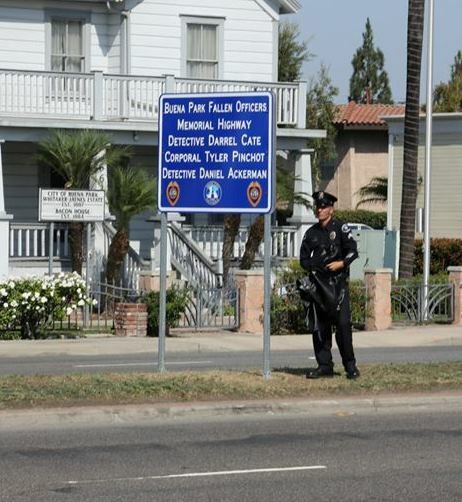 This sign shall serve as a permanent reminder of the sacrifices made by Buena Park Police Officers Darrel "Bud" Cate, Tyler Pinchot, and Dan Ackerman. 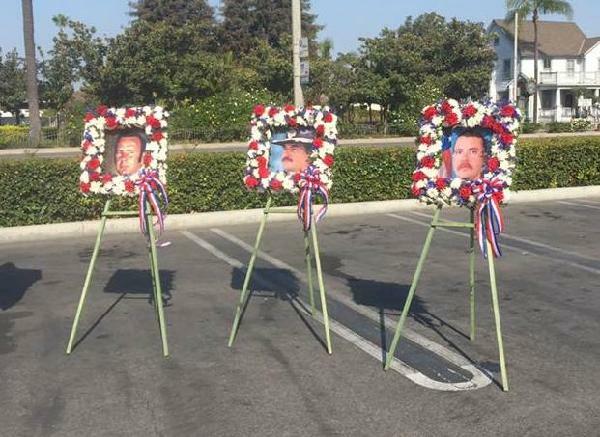 The message we sent today, "GONE BUT NOT FORGOTTEN," was undeniably heartfelt. 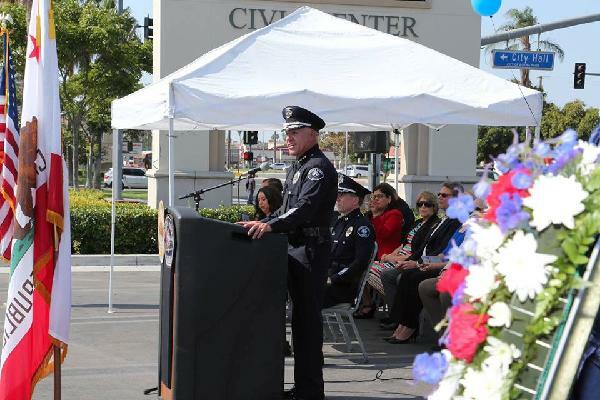 Please click here to view ABC7 Eyewitness News coverage of the dedication.